Tim Adams addresses attendees at the grand opening of the new Saint Thomas Cancer Center on the Midtown campus. At the end of October, Ascension Saint Thomas Health celebrated the grand opening of their new comprehensive cancer center at Saint Thomas Midtown Hospital. Located on Hayes Street, the Saint Thomas Cancer Center is integrated into the hospital campus. According to health system officials, the new center was designed to allow patients to access cancer experts and advanced therapies in a supportive and encouraging environment. The space includes most cancer services under one roof, including diagnostics, cancer surgeons, medical oncologists, radiation oncologists, radiologists, and support services. 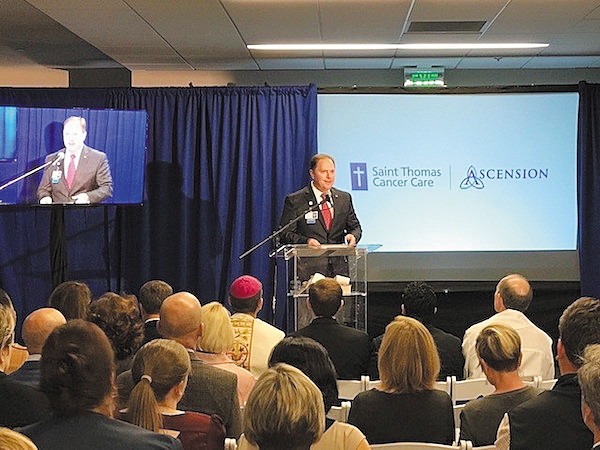 Citing the array of services under one roof, Ascension Saint Thomas Health President and CEO Tim Adams noted, "The Saint Thomas Cancer Center is the next step in our journey to deliver comprehensive health solutions in convenient, accessible locations." 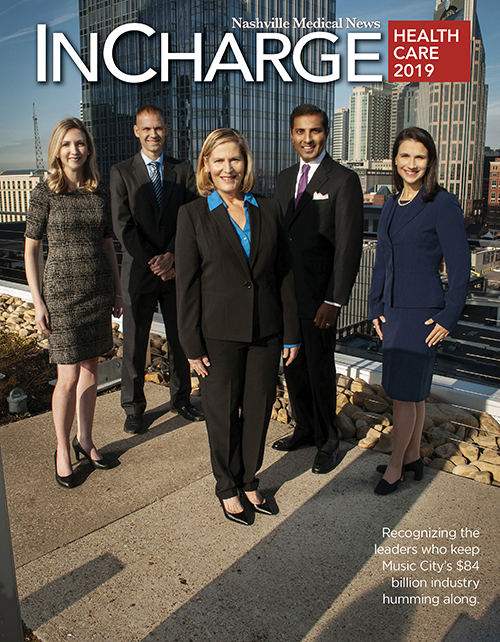 Fahad Tahir, president and CEO, Ascension Saint Thomas Midtown & West Hospitals, said the center's goal "is to support individuals beyond a disease treatment and to enrich their wellbeing - mind, body, and spirit - led by a sophisticated, skilled clinical team of experts." 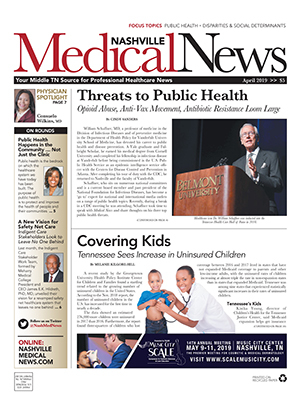 He added, "We are humbled to expand access to innovative cancer treatments, integrated therapies, comprehensive education and prevention, personalized for those we serve, all under one roof." The multidisciplinary team is comprised of experts in a range of cancer types, including brain, breast, colon, endocrine, advanced GI, gynecologic, lung and prostate. Certified therapy dogs provide emotional support and companionship to patients and their caregivers. The Saint Thomas Cancer Wellness Studio offers free, restorative programs focused on fitness and movement, nutrition, mindfulness meditation, education, and support during and after treatment.